If you would ask 100 people on how they believed they would arrive in Heaven, most would say that it is based on living a good life, doing more good than bad, and essentially just being a “good person”. Then if you would ask them; “Do you believe that you are a “good person?”, they would undoubtedly say that they were. They would quickly think of someone they considered worse than themselves and feel justified in their good assessment of themselves. The truth is, God is not going to be grading anyone on the “good person” curve. The truth of the gospel of Jesus Christ is that the only one who will be in Heaven are those who have placed their faith in Him as Savior. Salvation comes from trusting in Jesus, not from being good. Of course, once you place your trust in Jesus and become His follower, your heart will change and good will come. The good however, is the result of salvation rather than the path to salvation. You see, it is faith in Christ’s goodness when He died on the cross for your sin that you must trust in, not in your own goodness. We have all sinned, and that sin disqualifies us from being good enough to go to Heaven based on our own righteousness. We need a greater righteousness than ours, and Jesus provides that for us as a free gift, the moment we place our trust in Him as our sin bearer and Savior. What good news! Jesus has purchased your redemption and paid the whole price Himself! Now he offers it to you for free if you will accept Him. Just pray to Him right now and say, “Jesus, I need you. I thank you for dying for MY sin. I invite you right now to be my Lord and my Savior. I believe that because you died for me, I am accepted by You and granted a place in Heaven with you forever. Thank you Jesus. Help me to live for You from now on. In Jesus name, Amen. There has been such a misrepresentation of what God wants from us. Many preach that what God really wants is our obedience. This places God in the position of a task master who created man for nothing more than to boss him around. This is a wrong concept. God created man to be His companion, who would receive His awesome love and then love Him back in return. God is love and His motive in everything is love. That is why the first and greatest commandment is to love the Lord your God with all your heart, and the second commandment is like it, to love your neighbor as yourself (Matthew 22:37-39). What God really wants from you is your love. The Bible says that love is the fulfillment of the law (Romans 13:9-10). If you love God with all your heart and love your neighbor as yourself, then you will not do the things that hurt or offend God or your neighbor, thereby eliminating your need for the law. The law is only necessary for lawbreakers, and if you, by virtue of your loving conduct, are not a law breaker, then the law is unnecessary for you. God wants our relationship with Him founded upon love – not rules and regulations. Suppose you had a good relationship with your child and the love that bonded you both caused you to respect each other and to honor each others wishes. The child helped out around the house and enjoyed spending time with you. But then as they grew older, selfishness and rebellion began to take hold; they began staying out late at night and hanging with the wrong people. They no longer help out around the house and begin to treat you disrespectfully. Selfishness now governs their actions rather than love. For their own good, you are finally forced to take hold of them and to “lay down the law” of your house. You now set a curfew, prohibit certain friends and make up a list of chores they must do while issuing a warning of penalty for non-compliance. Selfishness and rebellion has now caused the law to become necessary to govern the actions of the rebellious child until such time as they will once again enter into a love relationship with you. Is the strict obedience to the rules you were forced to enact what you really want from the child you love? Even if they grudgingly obey all your “rules of the house” but fail to enter into that loving relationship with you that you so badly desire, will that make you happy? Of course not. God puts a new heart within us that is full of His love, and it is with this love that we will in turn love Him and our neighbors. This is what God really wants. Some may think that because grandpa or grandma, mom or dad, or children or spouse have developed a relationship with God, that they will somehow get into Heaven on their shirt tails. We can reason that when a man becomes a president or a king, his wife and children automatically become royalty. Such is not the case in the Kingdom of God. God has no grandchildren – only children. God is a personal God. While it is true that Jesus died for the sins of the world, He died for you personally. Though He died to offer salvation to everyone in the world for all time; that invitation for salvation goes out to you on a personal note. “Behold, I stand at the door and knock. If anyone hears My voice and opens the door, I will come in to him and dine with him, and he with Me. To him who overcomes I will grant to sit with Me on My throne, as I also overcame and sat down with My Father on His throne.” Imagine, sitting with Jesus on His throne! That’s pretty personal. The saving of your soul is as personal as your wedding day. It is commitment exchanged between you and God, a giving of yourself and your life in an exchange for the receiving of Jesus and His life. He gives you all of Himself and He asks for all of you in return. That is how a true love relationship works. It seems unfair to God, however, that we get such a better end of the deal. In offering ourselves to Him we are bestowing upon Him our sin, guilt and shame, which He gladly and eagerly takes upon Himself, for it is why He died. In the offering Himself and His life to us, we receive unconditional love, mercy, grace and forgiveness with eternal life because we are receiving the One Who is eternal. I truly don’t understand why He is willing to make this kind of exchange with you and me – but I can only be thankful that He is indeed willing to do it. In fact, the Bible says that God delights in showing mercy. The prophet Micah seems to have had the same awe in the mercy of God as he wrote in Micah 7:18-19, “Who is a God like You, pardoning iniquity and passing over the transgression of the remnant of His heritage? He does not retain His anger forever, because He delights in mercy. He will again have compassion on us, and will subdue our iniquities. You will cast all our sins into the depths of the sea.” Micah’s prophecy was fulfilled in Jesus when He died on the cross for our sin. 1. “For by one offering…” Jesus came as the perfect Lamb of God to offer Himself as the once and for all sacrifice for our sin (Hebrews 10:10). Because Jesus came as fully man and fully God, His sacrifice is a permanent and eternal sacrifice that never needs to be repeated. 2. “He has perfected forever…” Note the word “has”. It is a past tense. It’s already done! Those who trust in Jesus as Savior have already received complete forgiveness of sins and are declared righteous (perfected) forever in God’s eyes. This is very important. Although our actions are not always righteous and perfect; we still remain forgiven and are declared righteous (perfected) based on the position of righteousness placed upon us by God because of our faith in Christ. Our righteousness is a gift from God and does not come to us from our own efforts at being good or righteous; but because of our faith in Christ and His sacrifice for us. (Titus 3:5, Philippians 3:9, Ephesians 2:8). 3. “Those who are being sanctified…” Now note the tense of the word “being” sanctified. This is a present, on-going tense. “Being sanctified “means that God changes us from the inside out on an on-going basis after He has already declared us righteous! He saves us first because of our faith in Christ and then He changes (sanctifies) us afterward. “Religion” puts the cart before the horse. It usually tells you to make yourself clean through religious observances and good deeds, and then God will have mercy on you. This bases your salvation on your own righteousness instead of Christ’s. It is a serious mistake. In Isaiah 64:6 God says, “And all our righteousnesses are like filthy rags…” We are declared righteous by God only when we receive the righteousness of Christ by faith, and faith alone. The good news of the New Covenant of Grace is that it’s a “come as you are” invitation. Jesus simply says, “Come to Me” (Matthew 11:28). He doesn’t expect you to clean yourself up and do all kinds of religious things to make yourself acceptable to Him, because they won’t. It is only your faith in Him that pleases God (Hebrews 11:6). Jesus has already accomplished on the cross all that was needed for your salvation (Hebrews 10:14). He paid the whole price for your sin. Now He simply wants you to place your trust in Him; open your heart and invite Him in. If you do, He will come and live inside you (John 14:23), you will receive the free gift of eternal life that He offers you, and you will embark on this wild and glorious adventure of experiencing the living God in your life! There is nothing like it. It’s the reason you were created. 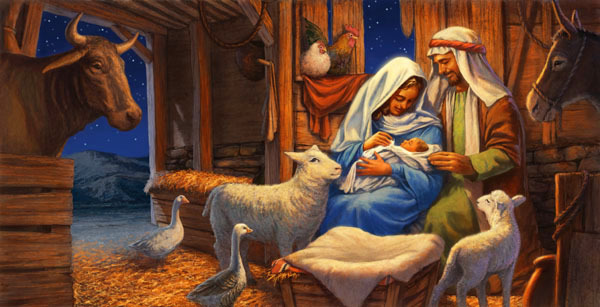 We all know the Christmas Story; a baby born in a manger in Bethlehem. He was sent by God to save the world from its sins. Yes, indeed this is true, Jesus truly died for the sins of the whole world. This is magnificent, but not personal. The greatest realization is that deep down soul shaking moment in time in our lives when we realize, “Jesus died for ME!” I would like to share a true story about my great grandfather Johnson’s moment of truth. Dad said that there was such a look of joy and amazement on Grandpa Johnson’s face as he had finally came to grips with this wonderful and soul saving truth. I’m sure that Dad, must have shared that good news with Grandpa Johnson sometime prior to that time; but it was on that day that the Holy Spirit made it real and personal to him. 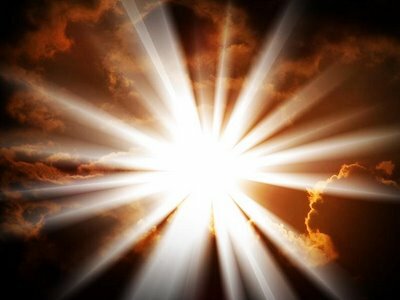 Divine light had opened the eyes of his heart and he had finally grabbed hold of this truth for himself, seeing for the first time the power and wonder of it. It changed him. It is one thing to know the Christian doctrine that Jesus died for the sins of the world. Many undoubtedly have even gone through years of seminary training and know this Christian doctrine in the finest detail, but have never truly had that personal, simple, life changing revelation of, “Jesus died for ME”. My sister and brother in law who live near Rochester purchased an inner city house in a gang infested ghetto where they go weekly to feed, love and reveal Jesus to the surrounding neighbors. A couple months ago while my sister was talking with some children, a little girl interrupted her, looked up at her with a look of amazement and said with that same excitement as Grandpa Johnson, “You mean Jesus died for ME?” This simple statement shook my sister as she literally saw the power of that revelation shine on this little girls face. It is said that Heaven can be missed by 18”. That’s the distance from the head to the heart. It is possible and sadly common to have the head knowledge without the heart revelation. It is possible that a person may for many years attend religious services, take communion and be very devoted to saying prayers, yet the heart can remain cold and untouched. Only God can supernaturally make the cross of Jesus real to your heart – if you are willing to receive Him. The whole gospel is as simple as, “Jesus died for ME!” Once this gets into your heart, you will be compelled to offer Him your heart, your life and your all. Here is an analogy: Suppose there was large family owned corporation with the father as CEO. He was a good and wise man, who possessed all the power and authority of the company – the buck stopped with him. But the son came of age who always served his father and the company in a selfless and sacrificial way and the company thrived because of him. Many of the employees, however, were either jealous of him, did not honor or respect him, or even despised him. They honored and feared only the father because it was he who carried all authority and power. The father recognized his son’s sacrifice and devotion, but when he saw how he was being treated – he decided to honor him. He therefore made a declaration that all his authority and power was being committed to his son, so that the son would be honored and respected just as the father is. The disrespectful employees, however, did not want to yield to the authority given to the son and attempted to bypass him by taking company issues directly to the father; but the father was angered and would have nothing to do with them. By choosing to bypass and dishonor the son, they greatly dishonored and offended the father. Now read what Jesus said in John 5:22-23: “For the Father judges no one, but has committed all judgment to the Son, that all should honor the Son just as they honor the Father. He who does not honor the Son does not honor the Father who sent Him”. Even the Final Judgment for all mankind will not come from the Father, but from the Son (John 5:22). Bypassing Jesus to get to God is both foolish and impossible. In fact, those who attempt to honor God while ignoring His Son will find that they have greatly offended Him instead, because in dishonoring His Son they dishonored the Father also. I have heard people who don’t think they need Jesus say that they will “talk it out” with God one day when they stand before him. The truth is that they will never even stand before the Father to have audience with Him. Instead, they will stand before the Son they rejected, because all authority and judgment has been committed to the Son. “Tolerance” advocates proclaim that there are many ways to God and each one is as valid as the next. Can you think of any greater way to offend God than to ignore His Son – the Savior of the world – to Whom He has committed all judgment, authority and power? “He who does not honor the Son does not honor the Father who sent Him”. 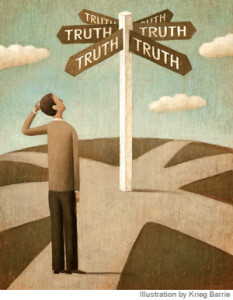 This is why Jesus said, “I am the way, the truth, and the life. No one comes to the Father except through Me” (John 14:6). There has been a lot of attention lately on the drug problem in our area. I work in a hospital, and on a regular basis I see the devastating effects of drug overdoses on people of all ages. There seems to be an unending supply of people in need of psychiatric care because of drug and alcohol addictions, depression and suicide attempts. Broken hearts, broken families and full prisons lay in the wake of this crushing problem. It is heart breaking and it is growing. We weren’t created to live this way. It is the cry for more than life seems to offering. A growing discontent without satisfaction in sight. Is there an answer? Yes, there is. John 8:36 says, “Therefore if the Son (Jesus) makes you free, you shall be free indeed.” You see, we were created to be in a real relationship with God; one that would result in His living life with us, or more accurately, within us. We need Him. He offers each one of us life and hope if we will simply call out to Him with a heart that desires to be free. I can personally attest to the freeing power of knowing Jesus Christ as my Lord. He truly set me free from a destructive lifestyle. But that was only the by-product. What He first set me free from was my sin and shame. He took all of my sin upon Himself when He died on the cross for me 2,000 years ago. A friend explained the truth of the gospel to me and told me that if I would only place my trust in Jesus, then I would be completely forgiven and granted the free gift of eternal life; a gift I couldn’t earn or deserve. Jesus paid the price for it completely and in full. I believed. That was 16 years ago. He changed my life. Upon invitation, He comes into our lives – and with His power – He begins to change our hearts and desires so that we no longer choose to live that way. He doesn’t come with condemnation, He comes with love and offers us His life, His love and His power so that we may be saved, delivered, and free indeed! Have you been set free by the power of Jesus? If so, we would love to hear your story. Please leave a comment and share it with us! Do you need to be set free by Jesus? If so, then talk to Him right now in prayer like you would talk to a friend. Then talk to someone who can share with You all He has done for you when He died for you on the cross. Or, you can contact us privately by e-mail or phone in the “contact us” section above and we would love to talk with you! We have some good news for you! As I watch the growing tension between Iran and Israel, I recognize that the days in which we live have all been written in a book (the Bible) and are now being played out like a script before our eyes. God said that the battle in the last days would be for Jerusalem, and all the nations of the earth will come against Israel. That is taking shape now more than ever. Israel is hated without a cause, and despised for simply existing – exactly as God said it would be. When Israel revived as a nation in 1948, it fulfilled the prophecy given by Jesus Himself in Matthew 24:32-35, where He refers to Israel prophetically as the fig tree, a nation that would be reborn just prior to the end of this age. He also said that the generation to see this happen would be alive to see His Second Coming. Could we be that generation? Most prophetic Bible scholars agree that according to all the signs now in place, we very well may be. Never before in history was it possible to receive a mark (microchip) that would identify you and could act as your permanent “credit card” to handle and monitor your finances (Revelation 13:17). Technology now allows the whole world to witness live events simultaneously (Revelation 11:9). 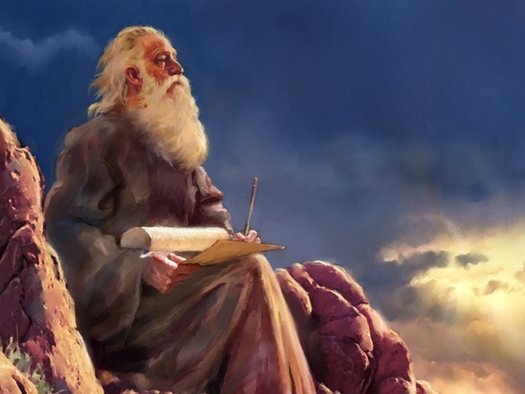 The prophet Ezekiel wrote that Israel will build its Third temple on Temple Mount in Jerusalem. This will happen in the final 7 year tribulation period. Those plans are now in place, the priests are being trained and the temple implements are nearly finished(go to TempleInstitute.org and check it out). All that’s needed is the peace agreement allowing for Israel’s access to Temple Mount so they can build. This peace agreement will likely follow a great war (the one looming?). We are living in the time the prophets wrote about but saw dimly from a distance. We may well see it firsthand. What is the point? We shouldn’t just shrug off Israel and the threats against her; because God continues to fulfill His promises to her at this moment. The Bible says that in the end, Jesus Himself will rescue her from her enemies and Israel will recognize Him at last as their Messiah (Zechariah 12:7-10). To come against Israel is in reality to come against God. These are the days. He who has ears to hear, let him hear. It’s time for Jesus. It really is. Whether we get to see Him returning in the clouds with power and great glory today, next week or next year; or when we look upon His face the moment after our death, one thing is sure – we will all see Him soon. In the light of eternity, the Bible compares this short span of life we live here on this earth to a flower that blooms briefly and then fades away (1 Peter 1:24); or like a vapor that appears for a time and then is gone (Psalms 39:5). We were created for eternity. We will one day shed these “earth suits” we call our bodies and our true being – our spirit with our soul – will live on. The only question that remains is where. There are only two alternatives according to God’s word. For those who have received the precious gift of eternal life through faith in Jesus Christ, it will be an eternal existence in the glorious Kingdom of Heaven in God’s very presence, where we will enjoy the glorious inheritance that Jesus promises for those who love Him. The experience will be wonderful beyond what we can now imagine or attempt to describe. The other alternative is entirely opposite in every way. We don’t like to talk or think about it, but it’s just as real as the other. It’s an eternity of separation from God in a place the Bible calls Hades, or Hell. God desires no one to perish there, and only those who find themselves there will be there because of rejecting His Son Whom He sent to save us from that place. It is a however, and a choice that we each make from our own free will. God does not make the choice of separation from Him for us, in fact He doesn’t want to lose one of us and has done all He can do – even to the point of dying in our place – in order to make salvation and life with Him forever available to everyone who is willing to receive it. You see, God will not force anyone who does not want to be with Him to spend an eternity with Him. That would rob Heaven of its peace and loveliness. Just imagine being in Heaven with a God you want nothing to do with – you would be miserable. If you want nothing to do with Him now, you will want nothing to do with Him then either. Only those who love God and have embraced the sacrifice of His Son Jesus will be there. It is our choice here and now, and the finality of that choice will remain forever. If you feel Jesus pulling on your heart right now, then invite Him in to receive His forgiveness and embrace the FREE GIFT of eternal life He is offering you. Jesus Himself died on a bloody cross to offer you this gift if you will only believe Him and receive it, but the choice is yours. He gives you the honor of making your own decision. Don’t wait. No one is guaranteed tomorrow. Today could be the last opportunity you have to seal your eternal destiny by receiving Christ as your personal Lord and Savior. How do you do this? There are no magic words to recite – but just simply realize that you are a sinner in need of a Savior. Understand that, without a personal trust in Jesus, you cannot enter Heaven, no matter how good or moral you may think that you are. You must believe that the death Jesus died on the cross was for YOUR sin personally, and that He paid the whole penalty for your sin all by Himself and on your behalf. You place your trust in Him and Him alone for reconciling you to God, and not trusting in your own religious efforts or perceived goodness. God is rich in mercy and desires to save each one. No one can say they didn’t have an opportunity. He’ll make sure everyone has heard. Today may be yours. You are incredibly loved by the God who created you. He wants you to know today that His plans for you are good, His love for you is unchangable and His salvation is knocking at your hearts door at this moment. Please don’t put Him off another day. Today is the day of salvation! “Religion” tries to fix up the old you, constantly tinkering with you here and there, but never really fixing the problems. Kind of like taking your beat up car in for repairs over and over again. It may seem to help a little, but you still drive away the same old clunker. When you finally realize that your old life is beyond repair and religion is costing you way too much – it’s time for a trade-in. You need something new. Instead of religion, you need Jesus. He doesn’t “repair” the old you, He accepts the trade-in of your old broken life and exchanges it for a BRAND NEW life in Him. Just think, a brand new shiny life in Christ, no more religious tinkering or religious payments – because Jesus already paid it all. Now that’s good news! “Therefore, if anyone is in Christ, he is a new creation; old things have passed away; behold, all things have become new” (2 Corinthians 5:17).